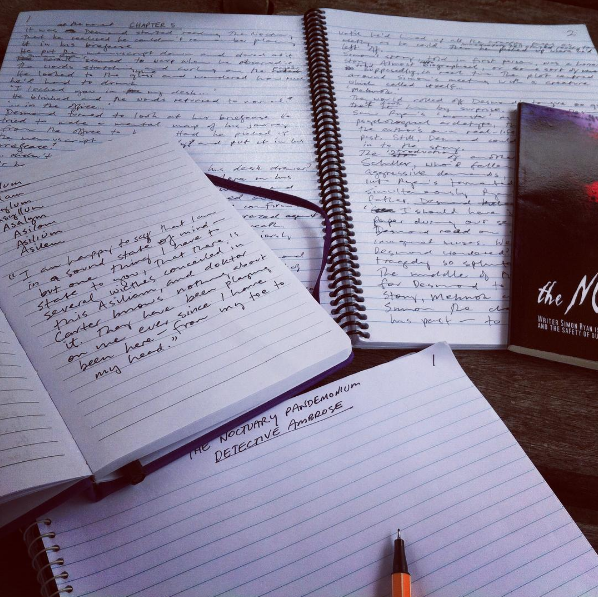 Sometimes readers and fellow writers ask me why I write my stories in longhand with pen and paper. For me, it’s simple: in my everyday job, I am stuck at a desk staring at a computer, typing in media releases, newsletters, and other content, so when I write fiction (an entirely different beast), I choose to disconnect and pick up a pen and a nice fresh notebook. I find it easier to engage that part of my brain where the imagination lies. There’s a fluidity to my writing that only happens when I start to move that pen across the page that I can’t achieve by typing into a keyboard. It’s obvious that my brain is hard-wired to write this way. All of my long fiction has been written with pen on paper. I usually write the story from start to finish, re-reading what I’ve done and scratching out mistakes with a different coloured (usually red) pen. Then, when I think the draft is done, I’ll start the process of transcribing it into Word. Typing it up allows me to edit as I go too. With the novel I recently finished – a sequel to my 2011 novella, The Noctuary – it took me several weeks to type it up, but the length of time would have been much greater if I’d started the story straight into word. 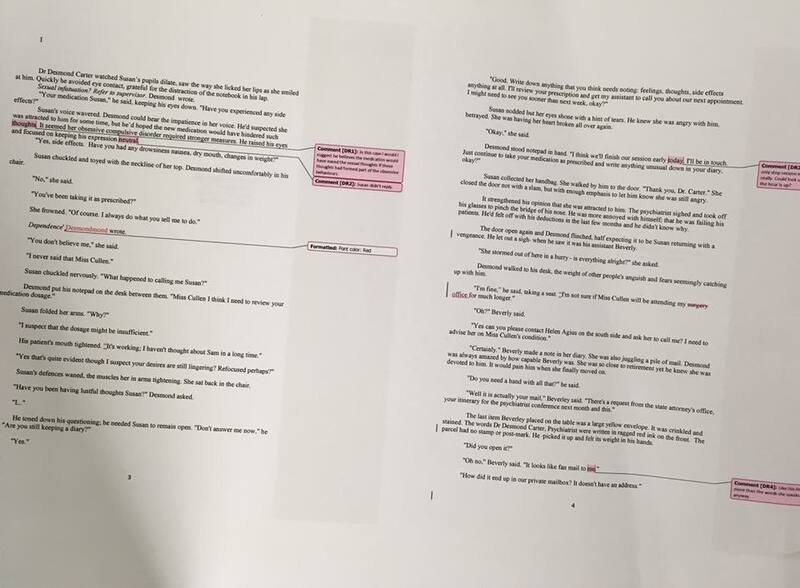 Another quirk I have is printing out the typed up manuscript with track changes and then working through it page by page with the document open on the screen. Like I said, there is a method to my madness and it works for me. Every writer has a different process. The author Joe Lansdale has a method to his madness that he outlines here. I also avoid writing multiple drafts. I always strive to get it right the first time. I am a pretty fast longhand writer (a skill learned from my days as a newspaper reporter), but a pretty crap typist, so I feel I am not wasting my time writing this way. The key message here is to write how you write. Embrace your own method of madness and use it to write the best possible story that you can. This entry was posted in Uncategorized and tagged fiction, method, writing. Bookmark the permalink.